Although it is not such a big challenge, I made up my mind to sit on the piano chair during office working. I play some sports constantly and I like to take a walk. But lately, I feel slight pain on my muscle around my loin after a long walk or when I standing. Hereupon I guessed the chair I’m sitting in the office is the cause of it. People choose their chairs for their comfortableness for sure and I was no exception. But it made my muscle around my back weaker with making my posture ugly. My instinct (Which likes to shop things…) immediately said “All right, let’s buy a new chair!!!”. But I stopped myself and looked around the house and found a chair which will gives me the worst comfortableness, it was a Piano chair! 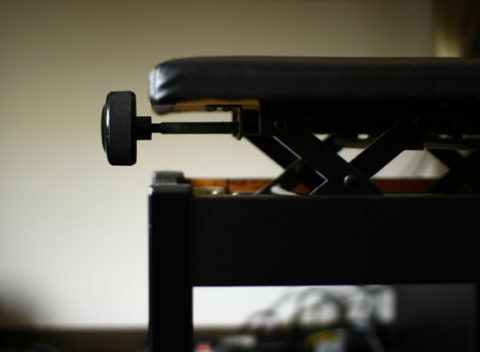 It has been few hours since I started to sit on a chair with no back, it gives me a moderate tension with slight pain on my loin, but I believe that this hardship will make me feel better for the pain and will restore the body’s balance, and finally I’ll be able to work more efficiently!!!…. I assume….